Now get the TradeStation EasyLanguage code to the Larry Conners book “Advanced Trading Strategies”. Back test these ideas in TradeStation. Code is compatible with all versions of TradeStation. Larry Conners is back with another volley of trading strategies for commodities and stocks in his book “Advanced Trading Strategies”. In the introduction, he takes care to claim they are not complete strategies. Perhaps these ideas need to be combined with other technical analysis to be successful. Perhaps he doesn’t want you to know how successful or unsuccessful these ideas are, but for whatever reason, he chose not to program them in TradeStation EasyLanguage code. Many of the ideas simply lacked a defined concept for exiting the trade but were otherwise complete. Other ideas were too subjective to be programmed. Now you can obtain the code to those ideas that were sufficiently well defined to be programmed. Exit strategies that were recommended but were not specific were the trailing stops so, we included a simple trailing stop of our own and the strategy was complete and programmable. Here is what you get. 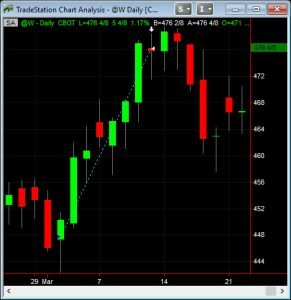 VIX Reversal System 1 Use the VIX as a contrary measure to find extremes for locating short term trades on daily data. Goes long and short. VIX Reversal System 2 Use an overbought/oversold oscillator of the VIX to locate short-term tops and bottoms. Goes long and short. VIX Reversal System 3 Use a mean reversion strategy of the VIX to locate entries. Goes long and short. TRIN Thrusts Measure daily percentage moves in the TRIN to predict market direction over the next two trading days. Goes long and short. PADI The Percent Advance/Decline Indicator can be used to identify short-term tops and bottoms. Goes long and short. 1234 This is a specific pattern that is identified with runaway markets then they experience a pause for a few days allowing you to jump on the move. Goes long and short. 8 Day High/Low Reversal This methodology looks for markets that are likely to test recent highs or lows and reverse. It is based on the fact that markets normally go through three to four week cycles. Goes long and short. 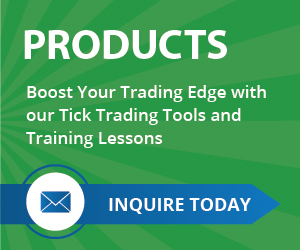 SMTP The Spent Market Trading Pattern combines reversal days, spike bars, trends, and specific entry methods to help identify a low-risk setup. Goes long and short. Double Volume Market Top This system looks for a reversal trade using a volatility based pattern on run-away stocks. Short trades only. CBP The Crash, Burn, and Profit strategy uses the ADX to identify a high-flying stock that is about to reverse. Short trades only. 15-Minute ADX Breakout This day trading strategy uses the ADX to select stocks that are likely to explode to the upside. Goes long and short. 10% OOPS This day trading strategy is a variation of the Larry Williams OOPS pattern looking for a gap down reversal. Goes long and short. Exhaustion Gap This day trading strategy looks for a pattern where there is an extreme move followed by a gap opening. If the market reverses, it provides a high probability trade. Goes long and short. Gipsons Use volatility measures combined with ADX, DMI+ and DMI- to locate trades in explosive markets. In order to protect the interests of the authors, we cannot provide an explanation of the rules of any these systems. For that you will need to buy their book and we urge you to do so. If you are interested in "Conners “Advanced Trading Strategies”", please contact Bill via phone or email using the information below.